Westinghouse has been helping lessen the stress of chores with their home appliances for generations. They understand the demands of daily life and build all appliances with families in mind, offering innovative and superior quality products that work to ease busy schedules. By building appliances that have sleek designs and sturdy construction, Westinghouse ensures the products they create are strong enough to weather daily use while still looking stylish. By producing an extensive variety of appliances, Westinghouse has something for every customer. Westinghouse products are practical and easy to use, ensuring customers that their appliances will last for years to come. Westinghouse remains a top brand in the industry by making flexible and dependable appliances that help millions of families worldwide. However, no matter how reliable a product may be, there are times when home appliances will begin to fail. These appliance failures may happen years after warranties expire. 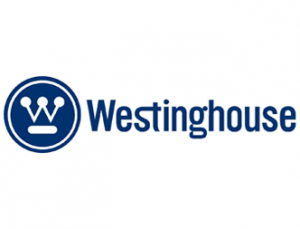 Customers who purchase Westinghouse appliances may have issues with faulty oven thermostats or broken displays. Fortunately, Fast Appliance Repair is equipped to repair all Westinghouse appliances. We repair all Westinghouse appliances, such as washers, dryers, microwaves, cooktops, dishwashers, stoves, ovens, refrigerators, and more.